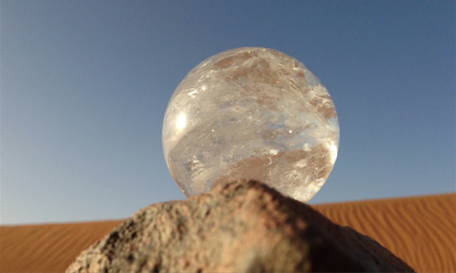 Alchemy Film & Moving Image's Autumn residency programme will take place October-November 2018 and is offered for artists working with film and moving image, in partnership with the cultural retreat centre Café Tissardmine, on the edge of the Sahara Desert in Morocco. Aimed at artists who wish to develop their skills and understanding of moving image practice, this group residency offers a partially structured residency experience aimed at stimulating new ways of thinking and experimentation in practice. No fixed outcomes are expected, though there will be an opportunity to show any films completed at the ninth edition of Alchemy Film & Moving Image Festival in Scotland, April 2019, subject to approval by our programming team. You can read about the experience of our previous residency participants. Alchemy Film and Moving Image Festival is an international festival of experimental film and artists’ moving image. Alchemy Film & Arts was founded in 2010 and has produced seven editions of the Alchemy Film and Moving Image Festival. The festival is produced in partnership with Heart of Hawick in the Scottish Borders.